Dropped your Nexus 6P? Our highly experienced technicians can assist you with a variety of common Google Nexus 6P repairs including screen replacements resulting from dropping your phone. Manufactured by Huawei, the Nexus 6P is no easy repair for a novice, but for a Ninja technician, it is no problem. With convenient store locations Perth’s most affordable prices and often while-you-wait service, Phone Ninja treats’ your Nexus 6P repair with the upmost care and professionalism. Nexus 6P screen replacements seem to be the most common repair we here at Phone Ninja fix. Dropping, or even putting pressure on the screen often results in cracking the touch, LCD, or glass panel. Luckily we can easily repair this issue! Think you’ve found someone cheaper in Perth? We’ll beat their price! Contact us now to set up an appointment, or simply come into one of our north or south of the river stores with your Nexus 6P for a professional repair. Copyright 2014 Phone Ninja, All rights reserved. All other trademarks & copyrights are owned by their respective owners. We are an independent phone repairer and not affiliated with Google Inc. in anyway. 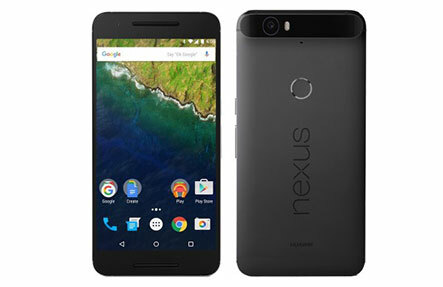 All our Google and Nexus repairs use compatible or refurbished parts only. None of our repairs, products, or parts are official nor endorsed, authorized or refurbished by Google or Nexus or Huawei.